Prince Ivan catches a magic Firebird. To be set free, she gives him one of her feathers and tells him to call on her if he needs help. 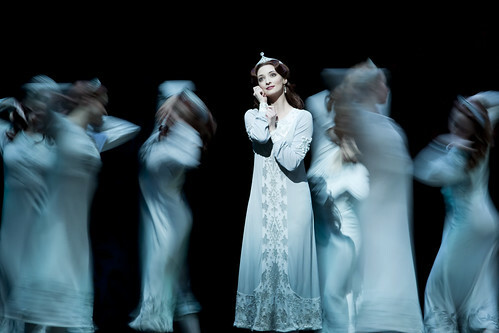 The Prince meets a group of Princesses, including the Tsarevna, who have been put under a spell by the evil Kostcheï. 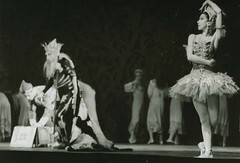 The Firebird was Igor Stravinsky's first ballet score. It was commissioned by Sergei Diaghilev for the Ballets Russes and had its premiere in 1910 at the Paris Opéra. 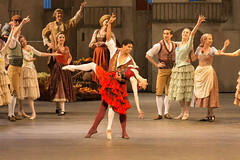 The Royal Ballet's production uses the brilliant costumes and glittering sets of the avant-garde artist Natalia Goncharova, which were created for the Ballets Russes' production of 1926. Both Stravinsky's score and Mikhail Fokine's choreography were ground breaking. 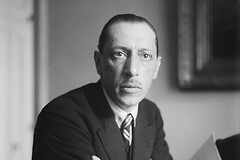 Fokine shifted from classical ballet towards a more realist and folk-derived style of movement, while Stravinsky incorporated elements of folksong into his music. The role of the Firebird is challenging to dance and mesmerizing to watch - she enters the stage in a flash of movement, and her steps are bold and full of a powerful energy. 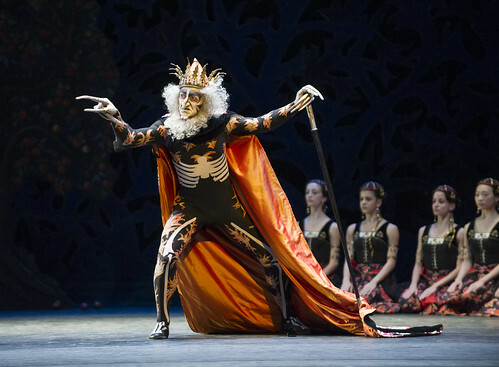 The strange characters that accompany Kostcheï transform the stage into a spectacular blaze of colour and folkloric detail, and this unique ballet ends with tableau that is as vivid as it is distinctly Russian. Taking a look at the origins of one of the great Russian ballets.